Amazing things come in small packages. Like this Graceful Mini Orchid ... What a stunning and beautiful gift! 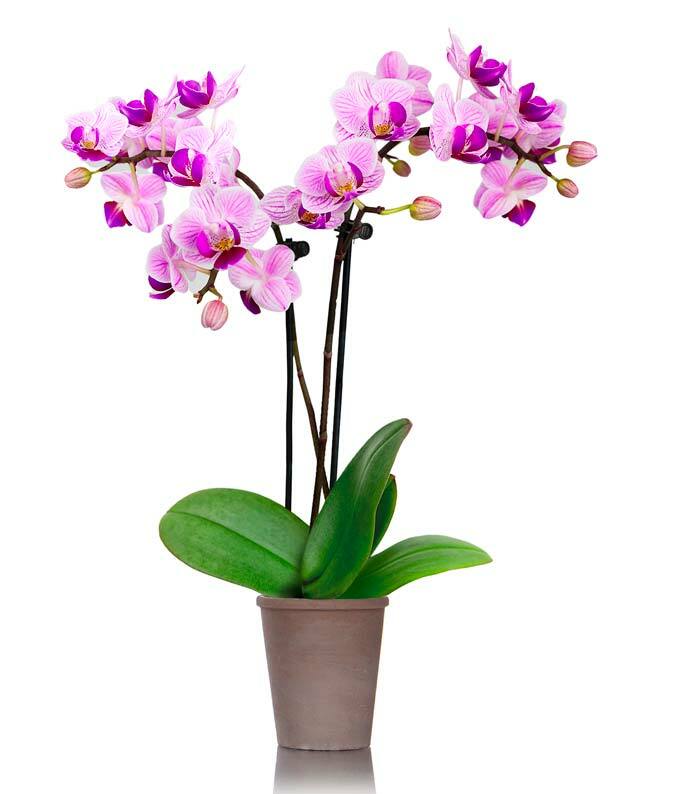 Its 2.5" pot is an elegant taupe color contrasting beautifully with the delicate pastel petals of the living mini orchid. Simply add one ice cube once a week and allow for indirect sunlight in any room and this plant will flourish. Make their day with this breathtaking gift! Delivered in a gift box straight to the recipient's door.